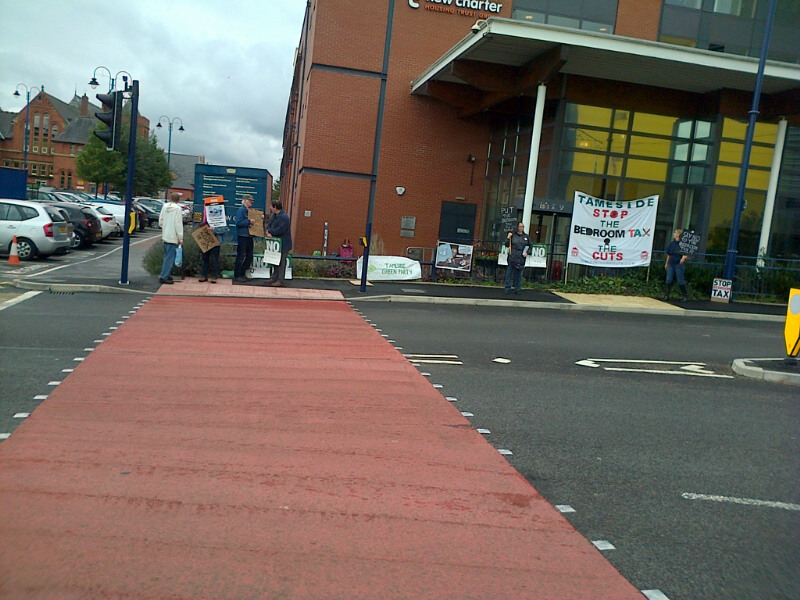 Tameside Green Party members and supporters joined the Tameside Against The Cuts in a recent campaign of demonstrationsa at New Charter Housing Trust Head Quarters. 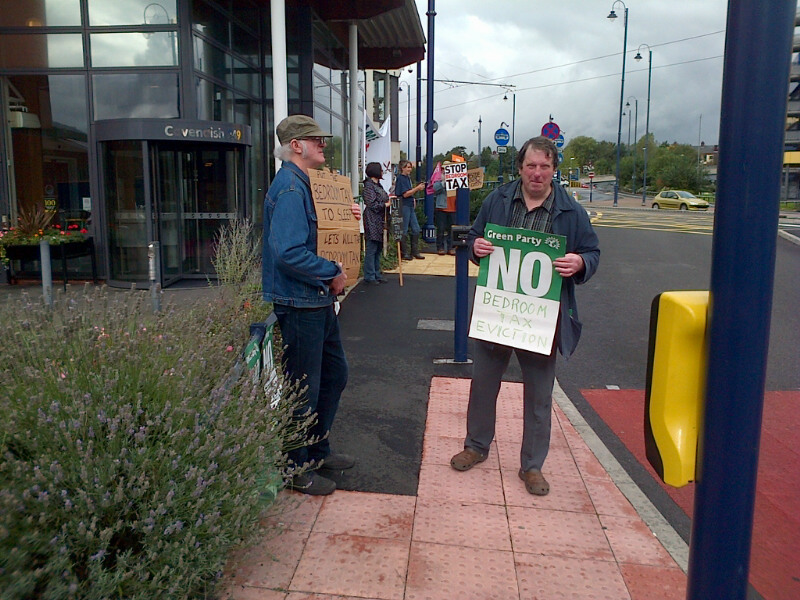 This entry was posted in Activities, Campaigns, Tameside Green Party by tamesidegreens. Bookmark the permalink.